If you're a serious cat lover, you may want to visit one of Japan's cat cafes for the novelty. Basically, you can pay to go play with a cat. Some of them will also serve you coffee or such, but you're really paying for the cat. Lots of Tokyoites would like pets but don't have the space to put them up and are never home. So, to them it kind of makes sense to be able to rent time with a pet. Looking for more things to do in Japan? Wondering what 1 dollar is worth right now in Japanese Yen? Wonder no more, with this live chart from xe.com. Just click 'Go!' to see the current rate. Of course, even though this data is current, don't take this for trading purposes. Just use it for planning a Japan trip. You may get a slightly worse rate when changing currencies at airports. I recommend using Japan's ATMs to get the best rates while traveling. San Francisco is the world's first airport to get its own yoga space! The space comes with low lights and blue walls, setting it apart from the otherwise bright and contrasted colors inside SFO airport. The idea came from a passenger suggestion at an open house event, according to an airport official. The room is located inside SFO Terminal 2, the one that was just redone to support Virgin America. The airport yoga room is after security – perfect for relaxation after suffering through the security theater. Despite yoga's Indian roots, there will be a Japanese touch to the room in the future: there are large rocks coming to create a Zen garden theme, and they'll be installed in the spring. There's even a pictograph to join the other universal signs like passport control and restrooms, just for the yoga room. Do yoga on your flight! Read Konnichiwhoa's Japan Guide to Airplane Yoga and arrive refreshed. Oden isn't the famous kind of Japanese food that tourists come to the country for, but locals and expats know it all too well. It's a sort of cuisine – it's a collection of things that are boiled in a fishy broth. Everything that comes out is hot, and most of it is pretty heavy on the protein. So, it's really known as a winter food. Oden is found everywhere. During the coldest winter months, you can find it in every convenience store, and the stores will even smell of the stuff during that time. Dashi [the broth oden is made in] is made with konbu seaweed and shaved tuna flakes (kezurikatsuo), so oden is not really vegetarian, though many of the other ingredients are staples for non-meat eaters: daikon radish, potatoes, konnyaku, kinchaku (mochi in a deep-fried tofu pouch) and tofu. Other things found in oden include boiled eggs, chikuwa fish cakes, folded seaweed, meatballs on sticks, sausages, octopus and sometimes skewered beef. Personally, it's not for me. But at least I was brave enough to try it. The Japanese don't really do teriyaki chicken. Here are 6 Japanese foods not found in America. An expat in Japan has done a quick write-up on a festival in Japan where young women, dressed in kimonos, participate in an archery competition. Men participate too, as this is part of a festival coming from the samurai tradition, but they don't look quite so lovely. There are a few gems among the many photos posted from the event, so be sure to check those out as well. The Japan Books section of the Konnichiwhoa Mini-shop has fantastic books on Kyoto! There are highlighted books featuring Kyoto's gardens and ancient Japanese architectural details for your home. If you're a fan of Japanese martial arts styles and want to learn more, there's a wiki that's a gold mine for you. Gottsupedia, as it's known, is a repository of Japanese martial arts – especially aikido – along with their histories and specific techniques. Yoshinkan's emphasis on basics and instilling them in students through repeated drills is a direct product of the difficulties encountered when Yoshinkan first began teaching exceptionally large groups, such the Tokyo police. … Ueshiba did not give exact instruction, instead he would show a technique and let everyone figure it out saying "That's fine, that's fine" to everyone's way of doing it. The entire wiki is the work of just one guy, so there's not much yet in the way of collaborative editing or fact-checking, but the 193 articles on hand show that the one dude is pretty serious about his stuff. via Gottsupedia. Thanks, Cook Ding. But you should know what to do if you meet the Japanese police. Read the Guide to Police in Japan. Wherever you are in Japan, there's sightseeing to be done on the street. Literally. Manhole covers are used as works of public art all over Japan. Patterns and even painted colors are used to create local images that can be seen by locals and visitors alike. The variety of images is impressive. Nature makes a big appearance, as trees and birds are especially common throughout the nation's prefectures. Cherry blossom trees are especially frequent. Also appearing are dragonflies, deer, cranes, and other animals that are either locally common or well-known in the national mythology. There's also a high number of firefighter-themed manhole covers. Those covers give firefighters easy access to water in case of emergencies. Thanks to OpenCage for the cover image! Good Luck Trip, a magazine publisher, has put out a new issue of its free guide to Osaka, Kyoto and Kobe, and it's accessible online for free too. The guide is pretty long (over 50 pages) and full of stuff to do if you decide to leave Tokyo. Osaka has historically been known as a town of commerce, and even today one of its major draws is shopping. 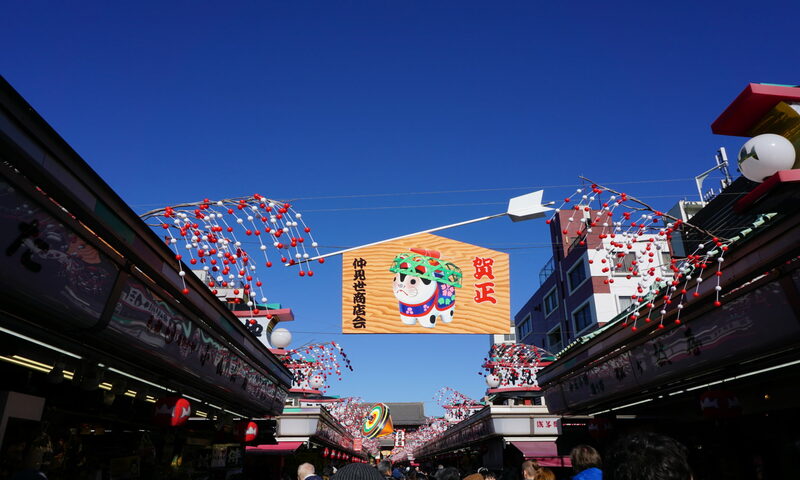 The neighborhood of Tennoji is recommended as a shopping area, but the guide leaves out America-mura, a rather un-American area that's the center of the city's fashion. The guide also dedicates a page to basically advertise Yodobashi Camera, which is actually a national chain and not unique to Osaka at all. Naturally, Kyoto is known for its cultural tourism. Options include the tea ceremony, Zen meditation, a Maiko dress-up session, and of course tons of temples. Don't miss the old-school Gion district. Kobe is a great town for a mix of the above two environments. It's more relaxed than Osaka, but still has some big-city energy and lots of international cuisines. I can hardly recommend a better place to eat churrasco (aka Brazilian BBQ) than here. Travel products that we use ourselves, including noice-cancelling headphones and travel-size memory foam pillows, are available in the Travel Goods area. Fly like you're in first class at economy prices. We've populated the Japan Books section with high-quality books on a variety of topics including design, gardens, and the yakuza. The shop is powered by Amazon.com's backbone, so we never see your address or billing info. Japanese gifts, snacks, and fashion. Find that one tool you need for your next flight: go mini-shopping now!